Hot on the heels of a brand new Michael Jackson track (‘Breaking News’) appearing on his official website and the announcement of his brand new album ‘Michael’ comes word through that Michael’s brand new official single is called ‘Hold My Hand’. The track, which first leaked in 2008 in a very raw form, was co-written by and is a duet with Akon and has been completely re-produced for the release of the new LP. The track is set for a global release on Monday November 15 Australian time and will impact on the eastern seaboard at 4:01pm AEDST. 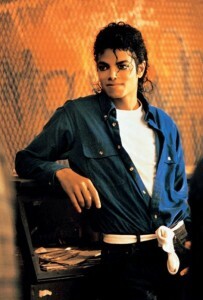 It will first be unveiled at www.michaeljackson.com and will be released digitally shortly thereafter. Meanwhile, Sony has also revealed the tracklisting for the new LP – ten tracks featuring duets with Akon, 50 Cent and even rocker Lenny Kravitz. ‘Michael’ will be released locally on Friday December 10. Haha, they quickly realised noone was interested in Breaking News so threw out a new song. I hope the new one is good. With a living co-writer and singer behind it, I have more faith.